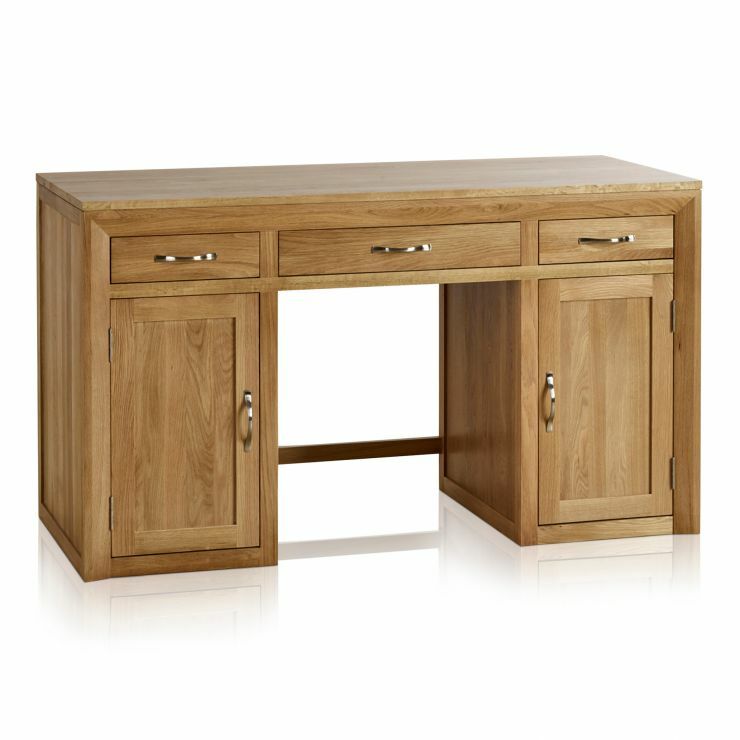 This computer desk effortlessly blends the best of our Bevel range’s design details with the high functionality you require in your home office. 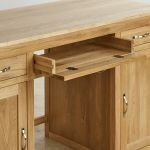 Using traditional carpentry techniques to ensure that our leading quality standards are met, it has a modern bevelled frame design with mitred corner joints for a refreshingly simple feel. 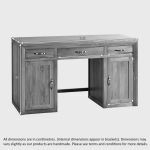 Two spacious drawers feature dovetail joints for durability and solid hardwood bases, backs and runners, with a neatly concealed keyboard compartment in the middle. The unit offers great storage with two cupboards, each with a clever hole in the solid wood back panelling for cable management. 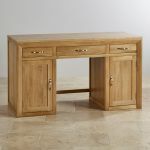 Brushed metal handles add to the contemporary look of the piece for a smooth finish. 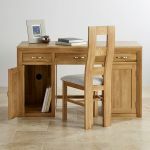 Complete your home office set up with our Bevel dressing table stool, or any dining chair from our Natural Solid Oak finish ranges, which include: Alto, Tokyo, Galway, Fresco, Rivermead, Edinburgh, Oakdale or Cairo.